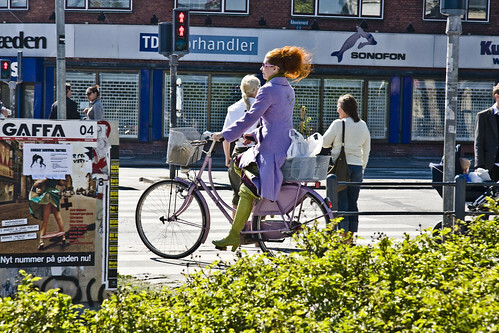 Another splash of Copenhagen springtime colour. Very nice. The ad in the lower left corner certainly places this picture outside the US. awesome color coordinated outfit and pic! great spring ensemble!